Interview: Steve Garrigan of Kodaline Talks Australian Tour – Spotlight Report "The Best Entertainment Website in Oz"
We had a chat with Steve Garrigan the vocalist from the Irish Rock band KODALINE who are rumoured to currently be wandering around the Melbourne city streets in between pubs in anticipation of Saint Patricks Day (and performing) according to news and social media sources (the rumours are true!) Steve kicked off the questioning and we discussed his bands upcoming tour of Australia which kicks off Sunday 17/3 at 170 Russell in Melbourne as well as what else the band has in the works in the near future. SR. You been busy lately! Yeah, we’ve been doing an Asian tour, it’s been our first headline Asian tour and it’s been awesome seeing new places like Manilla, Kaula Lumpar, Jakarta, Singapore, it’s been incredible! SR. Well you’ve got lots of fans over here that are looking forward to seeing you perform here very, very soon, have you played over here in Melbourne before? Yeah, we were in Australia once before, I think it was maybe 2014 or 2015 the last time we were over there in Australia, it was a long time ago, we’ve been wanting to go back over for so long though now it’s an awesome country. We’re super excited to be honest. SR. As you would be I can imagine, it has been a while since you were over here last… could you perhaps tell us a memory of the last time you were over here touring? Yeah, well we also went across to New Zealand and to an island which was absolutely beautiful, I remember in Melbourne it was such a hipster-esque city which we absolutely loved because we’re kind of in to that. Oh and the bar scene. We didn’t really get to see a lot because again, it was kind of like fly in, fly out, play a show, have a little bit of time pass by and then go on to the next place. As hard as it is to keep up on tour, I’m forever making notes of places to go back and visit for a holiday. SR. What about places like Adelaide and other country towns / cities which you wont be visiting this time, can they look forward to seeing you sometime in the near future? 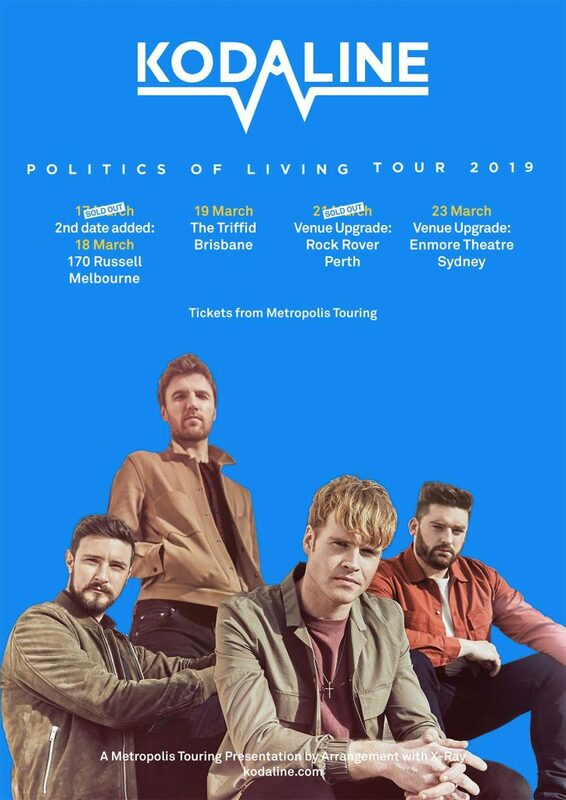 I’m really hoping that we can come back, maybe next year and play more shows, you know it is a dream of ours to do a big proper tour of Australia. We’ve never really done it, but it’s definitely on the cards. SR. That’s some good encouraging words for fans in those states. You have 3 albums out now, you mix pure energy and emotional meaning into what’s described as a romantic blend, but you also have your music featured in shows like Grey’s Anatomy (which are huge over here in Australia), what does it feel like to you when you hear your own music on these TV shows, how does that feel? Personally I don’t think we’ve ever really had a sound, even on our first album, we kind of look at every song in an entirely different way, and we’re not afraid to use other instruments and experiment, the first album was very stripped down, the second album we got used to more electronic elements, then the third album we went very production heavy which was something we had never done before. I think, as musicians and writers, We’re just kind of excited always about making our next record but we’re kind of just playing it by ear, writing songs and having fun. The only element that makes us sound like us is my voice and our harmonies together with the lead guitar. It’s a weird one. I don’t think we’ve ever really had a sound. We’re just a band, with music, songs. SR. When do you think might we hear your next full length album, and will you be playing any new songs when you perform here? Yeah, we’ve been toying with the idea and we are going to do an EP pretty soon, and another EP at the end of the year, and then an album early next year. That’s kind of like the rough idea that we have. I’m just so excited about it. I’m excited to see what people think of it you know. SR. Can I ask why is it you’ve decided to do 2 different EPs and then a full length release, are you going to trial different ideas and sounds perhaps? We used to do a lot of EPs. We have a lot of songs that have been on EPs. I don’t know, we like the idea of doing EPs and we always have enough songs laying around and stuff like that. If it’s not a big single I guess it gives those songs a chance to get out there, it’s just another way to release more music I suppose. It’s kind of like a goal we set ourselves. We really like EPs you know, even listening to other artists EPs, it’s kind of like a sampler of where the direction is going in terms of the next album. SR. Did you have any final messages for your fans over here in Australia that are looking forward to seeing you? It’s been too long and we’re so happy to be coming back, we’re going to play the best show that we possibly can. It’s also Saint Patricks Day. It’s going to be a lot of fun, I’ve never spent patty’s day abroad, and I hear that in Australia it is absolutely amazing. It will be a good crack as they say! It will very well and truly be a cracker! There has even been a second tour date added for lucky Melbourne fans. 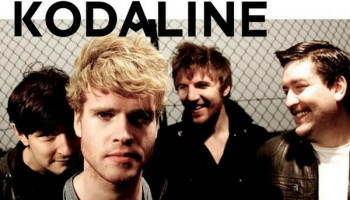 Don’t miss KODALINE while there in town to celebrate Saint Patricks Day! 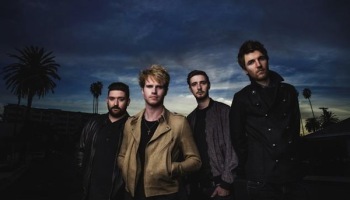 Kodaline announce details for highly anticipated second album!